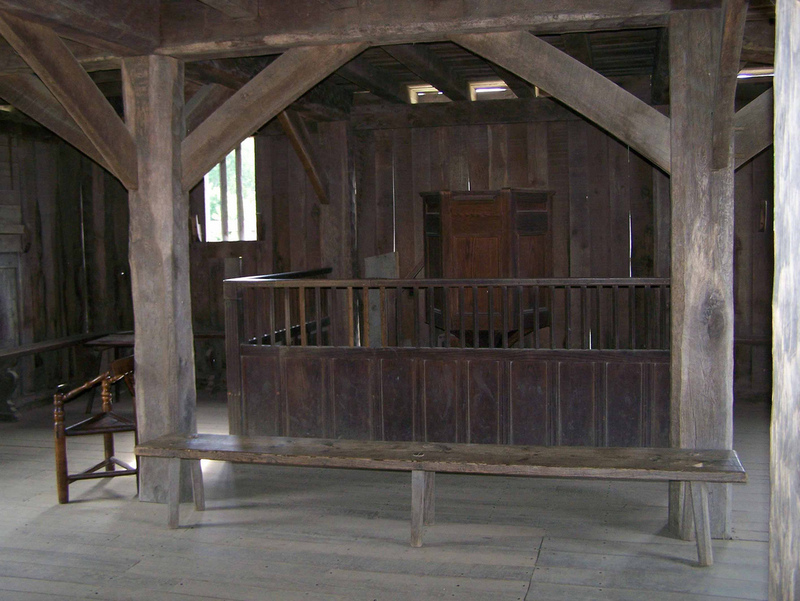 The earliest Dunham ancestor to come to North America was John Dunham, a Separatist who fled religious persecution in England by first emigrating to Leiden, Holland, and then to Plymouth Colony. He was my ninth great-grandfather. He was born in 1589; a record exists that year on 8 February of his baptism at the Church of St. Mary the Virgin in Pirton, Bedfordshire. His father was Richard Dunham, who is recorded as being buried in Langford, Bedfordshire, on 19 November 1624, “an old man.” In his will, Richard left his estate to his son John “at his retourne,” for John was then living in Leiden. But John would never return to collect his inheritance. On 17 August 1612 John had married Susana Kaino in the Church of St. Mary in Clophill, Bedfordshire. It is likely that by this time he was already a Separatist. Today we tend to think of the terms Separatist, Puritan and Pilgrim as practically synonymous. But Deacon John Dunham, while a Pilgrim, was no Puritan; the heirs of the Separatist tradition are today’s Congregationalists. William Brewster of Scrooby, Nottinghamshire, was bailiff to the Archbishop of York 1595-1606. He was influenced by the Separatist leader Richard Clyfton, parson of All Saints Church in Babworth, Nottinghamshire, from 1586 to 1605. Separatists believed the Church of England was so corrupt that they would have nothing to do with its worship, teachings or structure. Puritans, by contrast, believed in reforming, or “purifying,” the Church of England from within. For Separatists to hold their own worship services was against the law; the 1559 Act of Uniformity required all citizens to attend Church of England services, with fines imposed for every Sunday and holy day they were absent from services. To attend an unofficial service was to risk even larger fines and possible imprisonment. The Separatists decided to emigrate to the tolerant city of Leiden, where Brewster had previously served in a diplomatic post. After a number of aborted attempts to flee England, that included bribes, sting operations and imprisonment, a contingent of the Separatists finally arrived in Leiden in 1609. 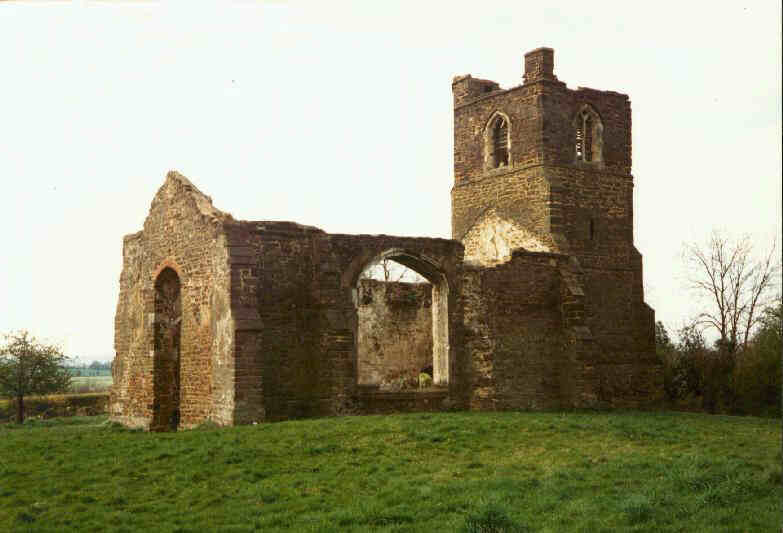 John and Susanna Dunham were not a part of this original contingent, as their first child, John, was baptized at Henlow on 19 February 1614. It is likely that by the time their second child, Humility, was born in 1617 they were already living in Leiden; their third child, Thomas, was born there in 1619. In Leiden John earned his living as a weaver, and they would attend services conducted by John Robinson, first at Robinson’s house and later in the historic Pieterskerk (Church of St. Peter), which the city of Leiden gave to the Separatist community. 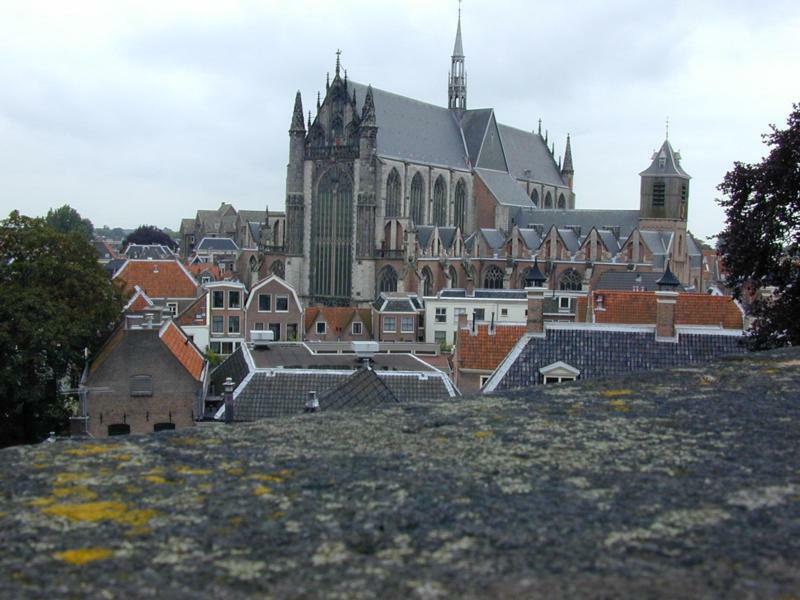 Although many of the Separatists thrived in Leiden, many still felt as foreigners in a foreign land, and yearned to strike out someplace on their own where they could keep their English language and customs. Susanna, however, would not see that day; she died sometime before 1622, when John married Abigail Billiou on 22 October. Their first child together, Samuel, was born about 1623. By 1620 it was decided that the first contingent of the Separatists would leave Leiden for New England under the leadership of Brewster, with the majority staying with Robinson in Leiden until preparations could be made for their emigration. The first group left in July 1620 from Delftshaven on the Speedwell, meeting up with the Mayflower in Southampton. The Speedwell was, however, sabotaged, so only 102 of the passengers boarded the Mayflower for the Atlantic crossing. 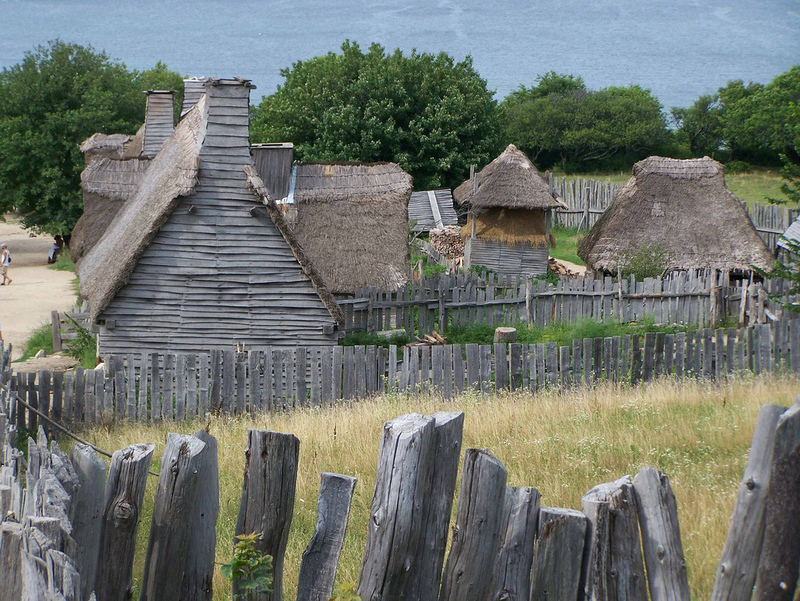 They arrived in New England on November 20, 1620. In Anno 1629 a Considerable Number of the bretheren of the Church which were le[ft] in holland were Transported over to us that were of the Church in New England which although it was att About 500lb charge yett it was bourne Chearfully by the poor bretheren heer Concerned in it. If the Dunhams were not in the 1629 group, they came shortly thereafter, for their son Jonathan was born about 1631 in Plymouth (In 1694 Jonathan will be ordained a minister in Edgarton, Martha’s Vineyard). Their eighth child, Hannah, was born in 1633. The first official record of John being in Plymouth is a reference in the 1633 will of Peter Brown that John Dunham is owed four shillings from Brown’s estate. Sometime after 1634, John is appointed a deacon of the Plymouth congregation, a post he will hold until his death. Deacon John continues to ply his trade as a weaver, but also acquires a herd of sheep and some cattle. The ninth child of Deacon John was Joseph Dunham (b. 18 November 1636 in Plymouth, d. March 1703 in Plymouth), from whom I am directly descended. Another son, Benajah, follows about 1638 and the final child, Daniel, was born about 1640. In 1639, John is elected by the colonists to serve as deputy of the General Court of Plymouth. He must have done a good job, for he was annually re-elected for the next 25 years. Consider poor Deacon John and Abigail; the deacon has grown prosperous and respectable, but his sons are always getting into trouble. Married clergy with children today can no doubt sympathize with him. Apparently in those days no one warned young people about indiscretions appearing on their “permanent record,” for all the records of their misdeeds are now available to their descendants! In 1644, Thomas is fined 10 shillings for challenging another colonist to a fight. Two years later John Jr. is accused of poisoning a neighbor’s dog (In 1665 John Jr. would be flogged for beating his wife and then drawing a sword upon himself in a dramatic gesture of remorse). In what was perhaps the first case of stalking in New England, Thomas is again in trouble in 1648; he is the subject of an early restraining order to “abstaine from coming att or sending vnto Martha Knote of Sandwidge.” Thomas and Martha were engaged, but Martha—wisely, it seems—cut off the engagement. 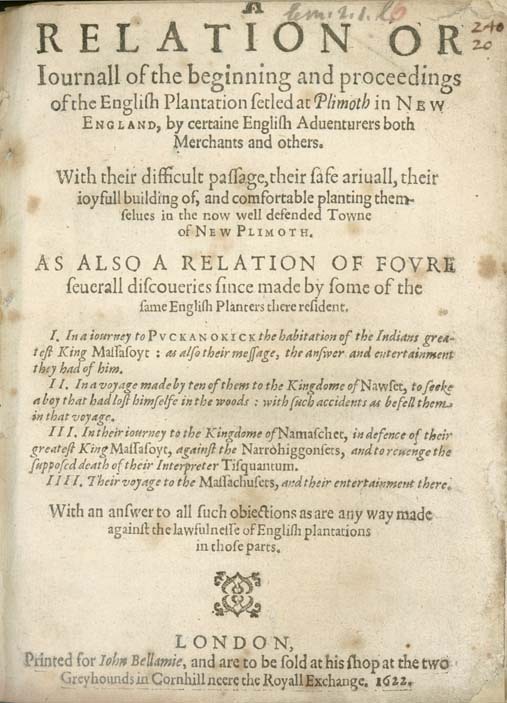 And in 1656 Benajah was arraigned “for foolish and provoking carriages, in drawing his knife vpon sundry persons att Taunton.” Benajah, Dude, chill. Joseph was in his early 20s when these things happened; he had already married Mercy Morton (abt 1638-19 February 1667) on 18 November 1657 and had one son, my seventh-great-grandfather Eleazer (abt. 1659-abt 1702). Mercy was the daughter of Nathaniel Morton, secretary of the colony who had been born in Leiden in 1613. Secretary Morton, my ninth great-grandfather, had been raised in the household of his uncle Governor Bradford; he was the historian of the colony and is responsible for transmitting all of the written records of Plymouth down to us, much of them in the book New Englands Memorial, the first colonial history. His father, George, was the purported author of Mourt’s Relation, a book published in London to promote emigration to Plymouth, which was actually largely written by Bradford and Edward Winslow. Joseph would have another son with Mercy, Nathaniel (abt 1662-aft 1734). When Mercy died, Joseph married Hester Wormall (abt 1648-aft 1715); they had six children together. It appears through my grandfather Leslie Dunham, on my mother’s side, I am related to Jonathan Dunham (Deacon’s son). Your posted article indicates a birth date of about 1631 in Plymouth. Can you tell me your source. Unfortunately, other postings in ancestry show him as born in Leiden around 1625. 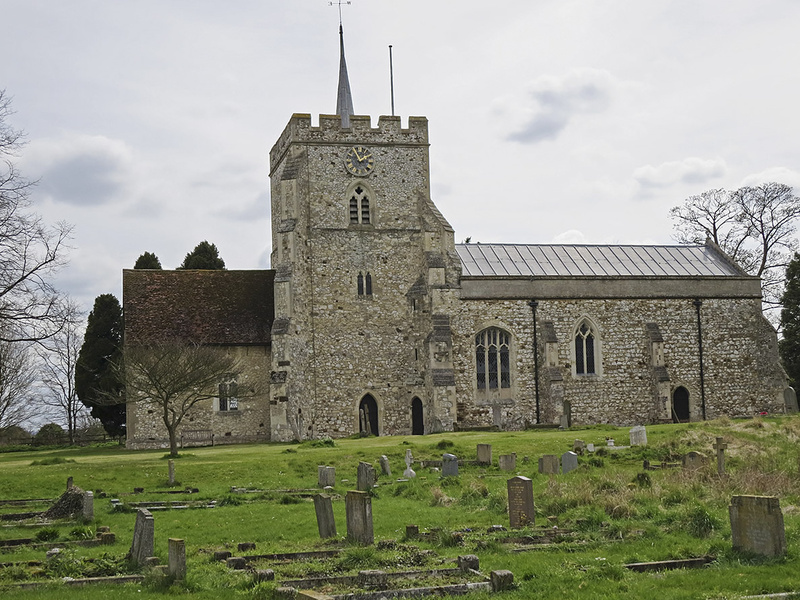 I was interested that you mentioned that there is a record in the Henlow church for a baptism for John Dunham, as I can’t find it listed in the parish register. I’m so glad I came across your website. I’m also related to Deacon John Dunham; he is my 9thG Grandfather (on my mother’s side). My line is thru his son Joseph/Mercy; Then Nathaniel/Mary; Jabez/Salome; Obadiah/Lucy; Lydia/John Downer (my 4G Grandfather). Your postings filled in a few gaps of info I was missing. I wish we had more family photos. Thanks for the great stories. I stumbled across this whilst surfing entries for Clophill Church where I live. You have an image of the Old Church and may like to know that we are currently partially restoring the ruin as an historic monument. Your ancestress, Susana Kaino’ s name comes from the ancient manor and castle we now spell Cainhoe, and my address is Cainhoe rd. Hello. Great web site and info! My name is Derek Leath. My paternal Grandmother was Mary Dunham. My 15th Great Grandfather was Sir John Dunham. Any other info you would like to share would be greatly appreciated.